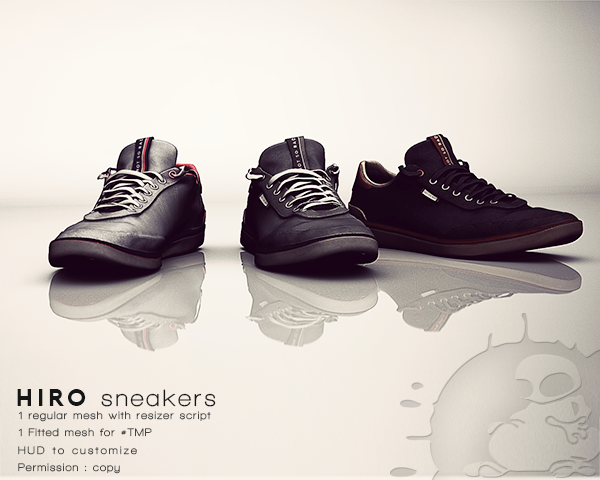 HIRO sneakers is an original rigged and unrigged footwear mesh. HIRO sneakers is available in 9 colors. Resizer HUD to adjust unrigged version. 1 Fitted mesh included to fit with “TheMeshProject”. 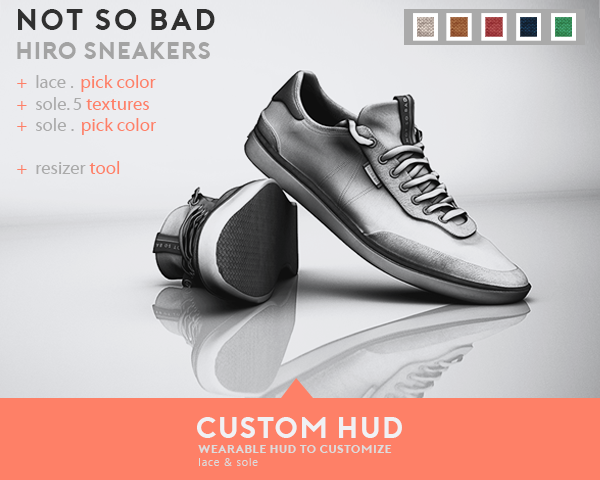 Please try the demo to see how it fits with your shape.